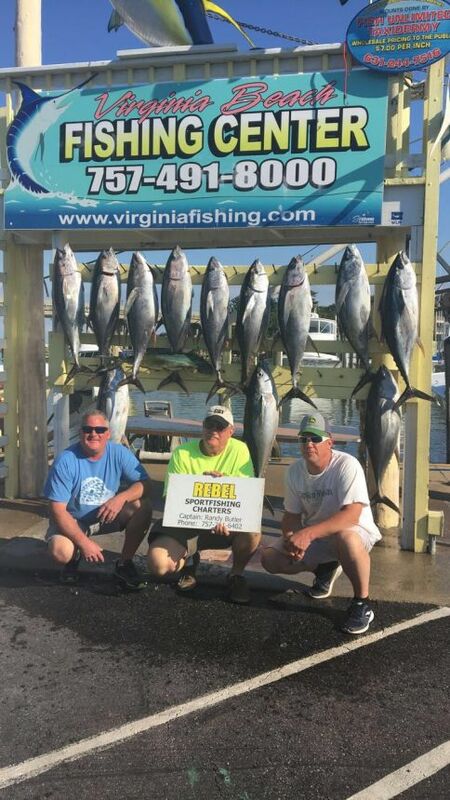 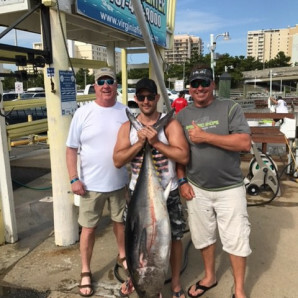 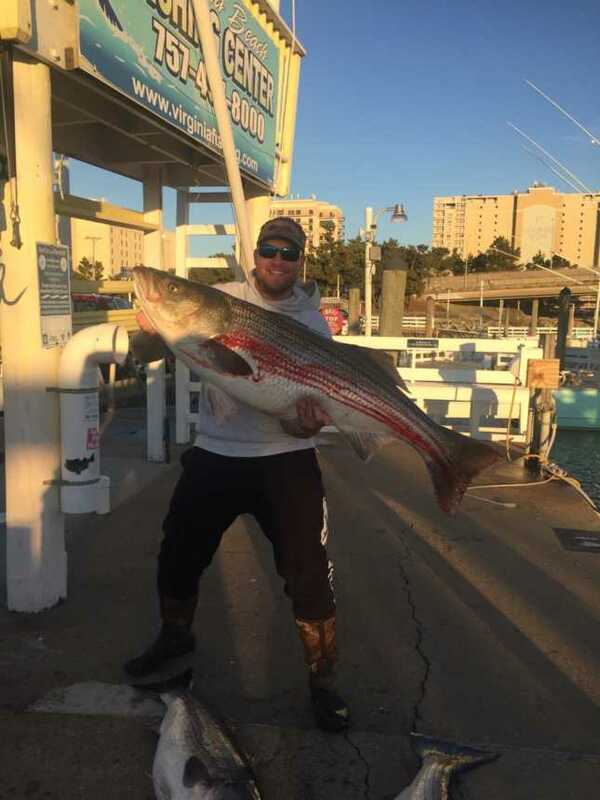 Fishing Report Archives - Page 20 of 62 - Virginia Beach Fishing Center Ltd.
Today we had the Top Notch, Rebel, and Backlash all fishing offshore. 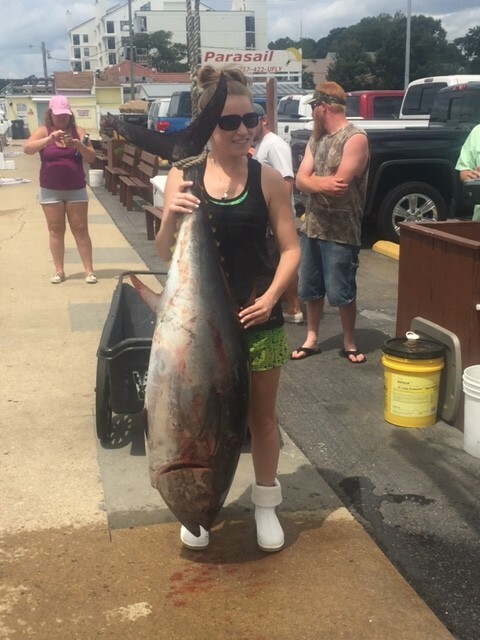 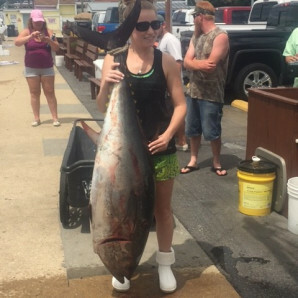 They returned to the docks with good sized Tuna fish! 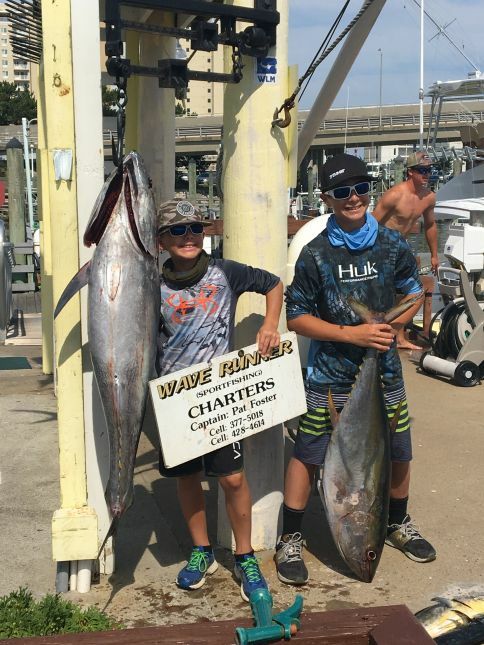 Inshore today we had the Waverunner who brought back good sized Spanish Mackerel! 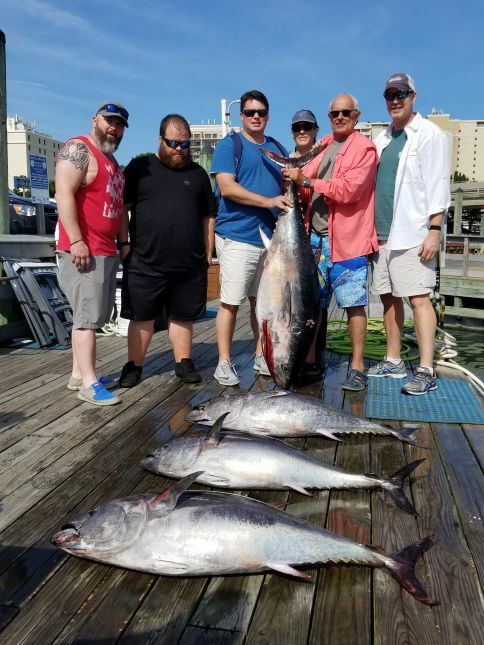 Today we had the Backlash, Rebel, Wave Runner and High Hopes went offshore fishing early this morning. 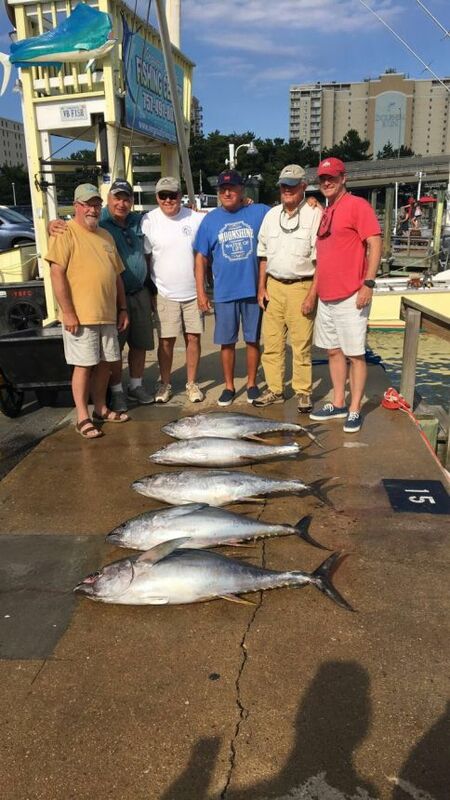 They all returned to the docks with some nice Yellowfin Tuna. 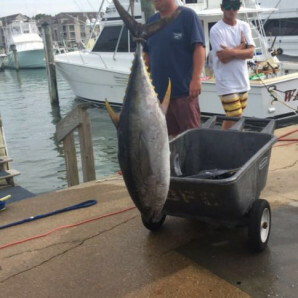 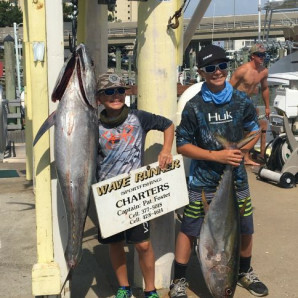 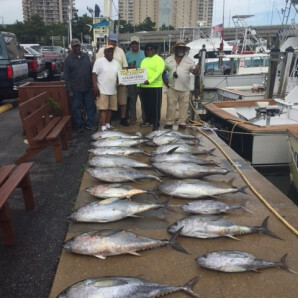 OFFSHORE: Today is the first day of The Virginia Beach Tuna Tournament. 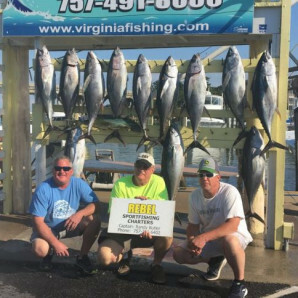 We had the Backlash, Capt Cheryl, Rebel, High Hopes, Top Notch, and Wave Runner, as well as several private boats fishing offshore today. 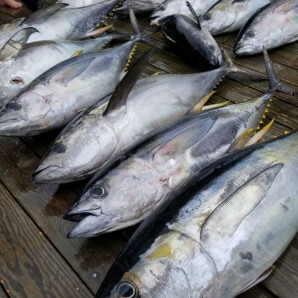 The Rebel Returned to the docks with a handful of Yellowfin Tuna, Mahi, and a few Albacore as well. 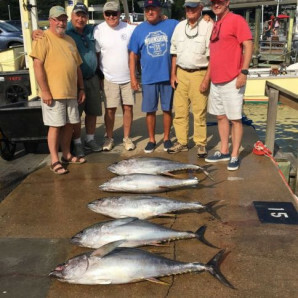 The Backlash returned to their slip with a Yellowfin and 4 gaffer Mahi. 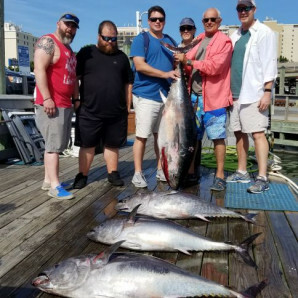 The high Hopes returned from their venture out with 4 Tuna and a Mahi. 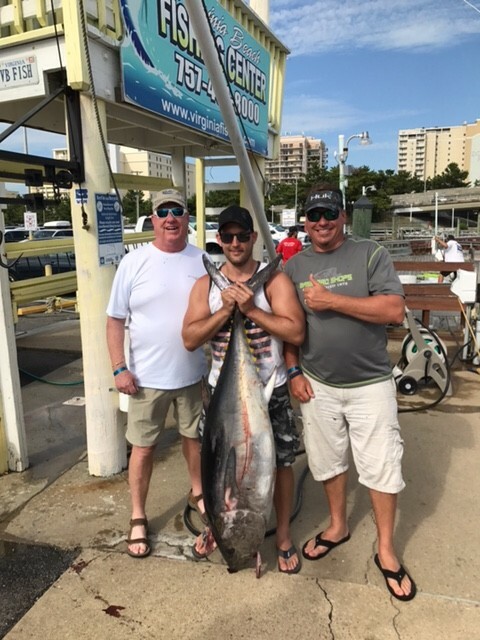 The Top Notch was the next to come in and caught 4 nice Yellowfin Tuna, the WaveRunner was right behind them with 4 nice Yellowfins as well. 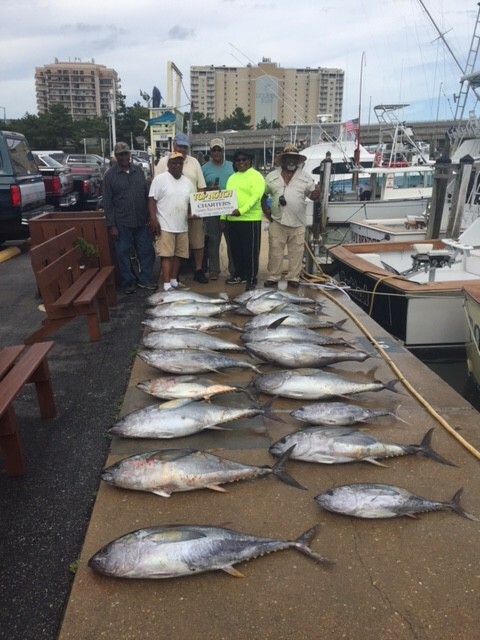 Offshore: Over the past few weeks the Tuna fishing has been phenomenal. 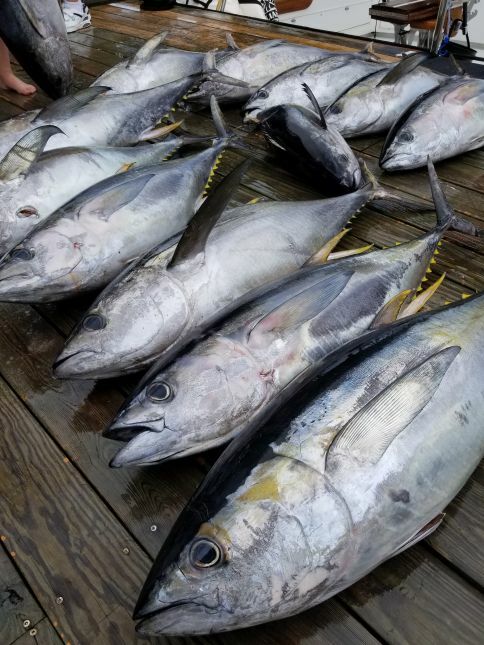 Every boat on our fleet has been out and returned to the docks with their limits of Yellowfin Tuna. 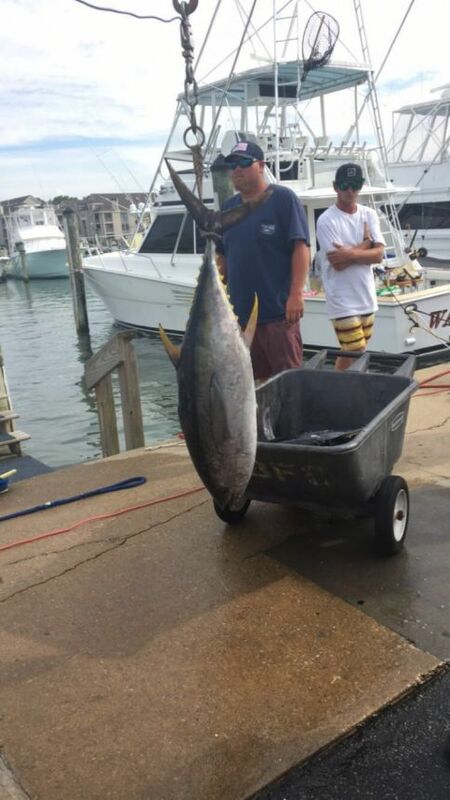 Today we had the Rebel go offshore today and they returned to the docks with another nice catch of Yellowfin Tuna! 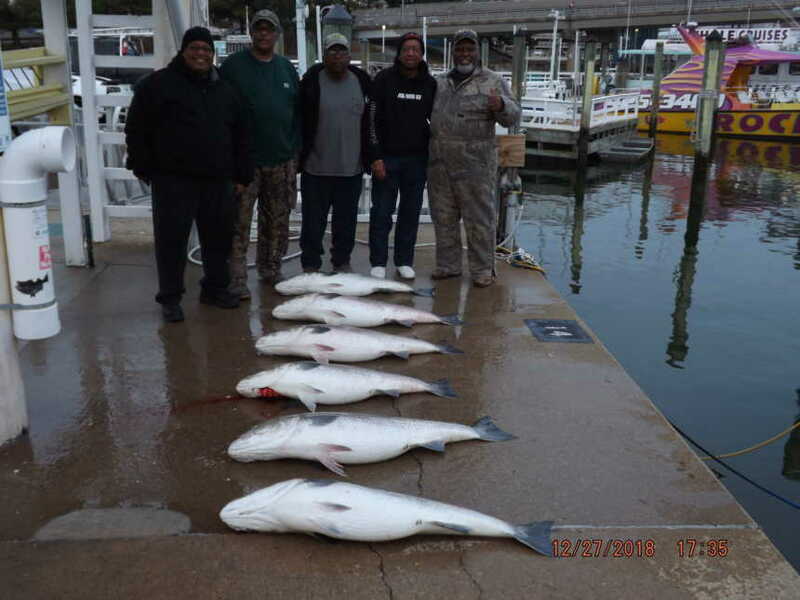 Inshore: Today the High Hopes fished inshore. 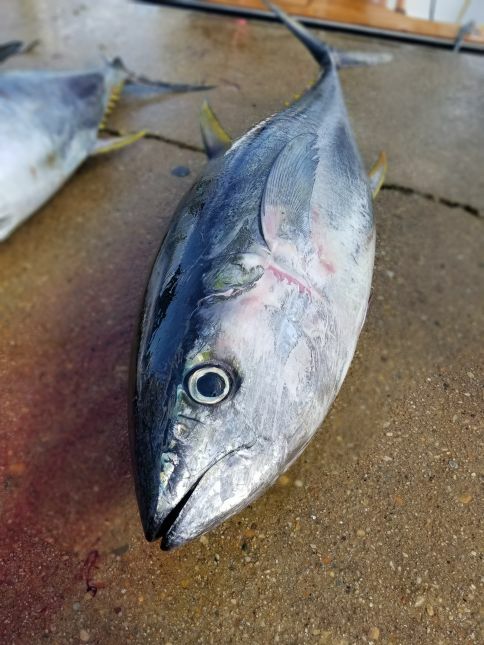 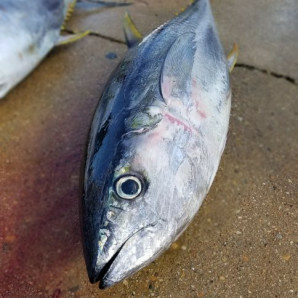 The inshore boats have been catching some Spanish Mackerel, as well as a scattered Bluefish bite.